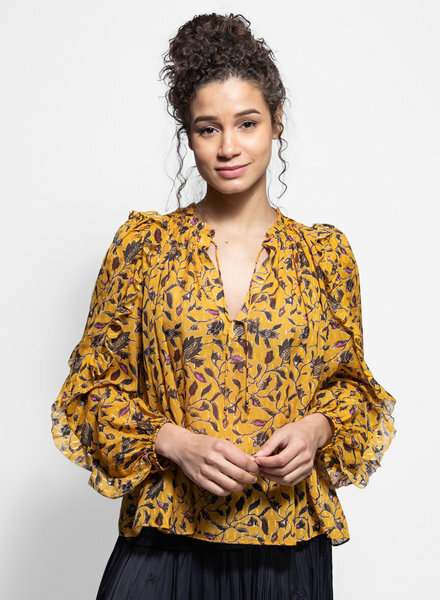 A graduate of Michigan in 1996, studying psychology and women's studies, native New Yorker Ulla Johnson has created a company that reflects her insight into the female body and the transformational power that comes from a dress. Since the line's inception, Ulla has concentrated in three solutions to great design...quality, fit, and simplicity. All of which have now become synonymous with her label for over fifteen seasons. A sleeveless top featuring a laced neckline with self tie, flutter sleeves, and gathered detailing on the bodice. A long sleeve, silk georgette blouse features lurex floral embroidery and tasseled ties at neck. Tie may be worn at front or back. 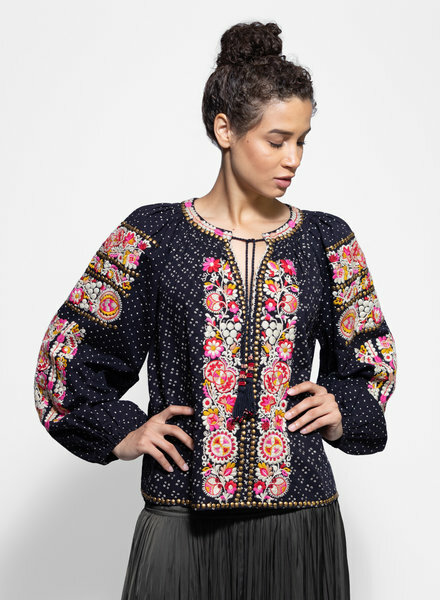 An ornately embroidered, long sleeve top with a split hand-stitched neckline with ties. Split may be worn at front or back. A maxi length dress featuring lurex hand embroidery and tassel braided tie at neck. Tie may be worn at front or back. A midi length dress features braided spaghetti straps, beaded underarm ties, hand crochet hem, and colorful embroidery. 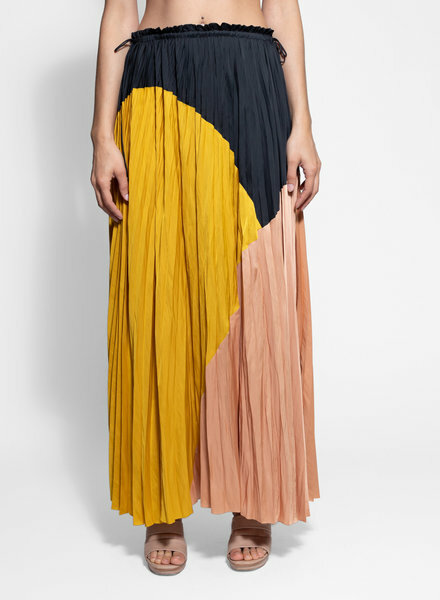 A colorblock, pleated Japanese satin skirt with adjustable side ties. A floral printed, organza dress features a ruffle detail across the chest, princess seams, full skirt, and zipper back. 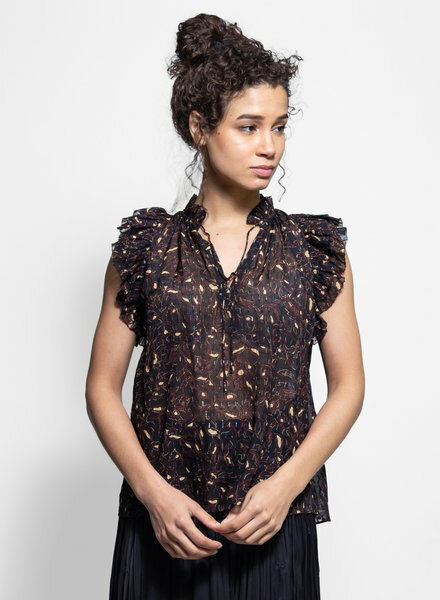 A flutter sleeve style top featuring delicate plisse pleating and a beaded neck ties. A sleeveless style top featuring ruffled flutter sleeves and split neckline with self ties. Indonesian inspired batik patchwork printed peasant blouse with a split neck, beaded neck ties, and ruffle detailing. 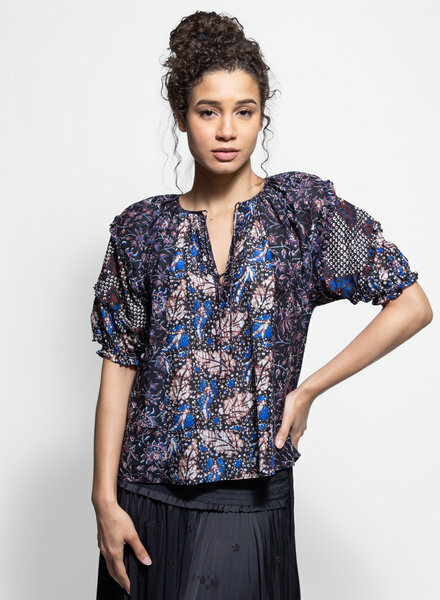 A long sleeve peasant style blouse featuring a split neck with a self tie and cascade ruffle detailing. An easy seersucker cotton knee length dress featuring a tiered skirt, self lace neckline, and flutter sleeves. 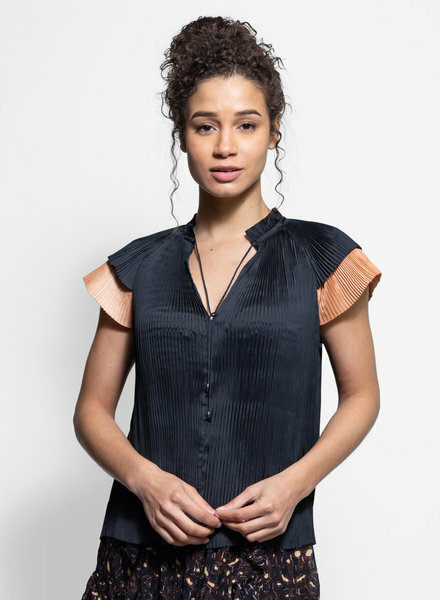 A sleeveless tunic dress featuring a high-low hem, ruffle trim, side slit pockets and back keyhole button closure. A long sleeve pleated Japanese satin mini dress featuring tiered ruffle skirt, deep neckline, and side zipper. 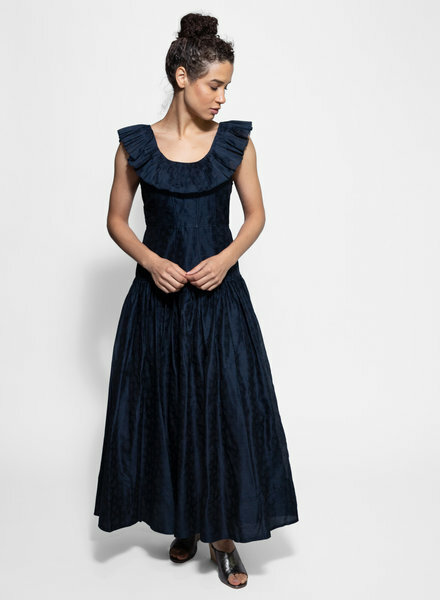 A pleated Japanese satin midi dress featuring a handkerchief hemline, split neckline with self ties, and adjustable side ties.